With the GBA 203, the developers at SMS have made a quantum leap! For the first time, customer requests for flexible relief path (particularly with regard to the polygon form on forming taps) with significantly increased machine availability can be met. 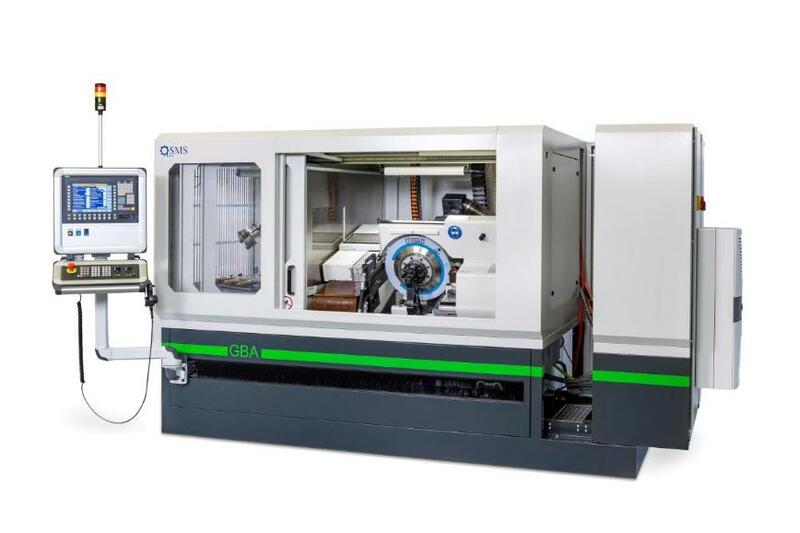 As with the predecessor models in the GBA series, this is a fully automated tap grinding machine - now with an enlarged machining range up to M25. The newly developed A-axis enables a lead angle of -6° to +10° and allows the production of tools with left-handed thread. The basic machine body, designed with the aid of FEM, provides for maximum productivity and precision. For the relief movement, cutting-edge linear motor technology is used for the first time (relieving cam omitted). The lifting movement is precisely synchronized with the other axes by the CNC control system, which enables very high speeds and relief strokes. In combination with the high-speed technology used on this machine, this guarantees exceptional productivity with very short cycle times. The grinding wheel is automatically profiled in programmed cycles. The use of profile roll sets for the thread and chamfer makes it possible to grind both the thread as well as the chamfer in a single setup. The optional W-axis enables flexible 2-axis CNC dressing of the chamfer section using a diamond form roll. Equipped with multiple pallet stations (raw/finished part), the integrated handling system provides for very short workpiece change times thanks to the use of a 6-axis FANUC robot. The machine is equipped with the latest drive and control technology (digital servo drives: Siemens, precision length measuring systems: Heidenhain). Thanks to the workpiece-specific user interface by SMS (HMI), the CNC control system (Siemens 840D sl) can easily be programmed by the operator in the dialogue system and ensures short setup times. Summary: The GBA 203 has set new benchmarks in the production of threading tools!